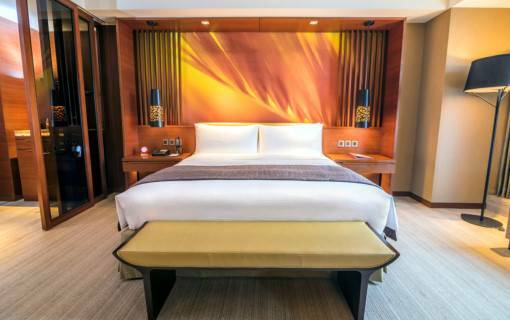 All rooms are equipped with high-end and state-of-the-art amenities such as a Nespresso coffee machine, multi-docking device with Bluetooth technology for personal gadgets and complimentary high-speed WiFi access. 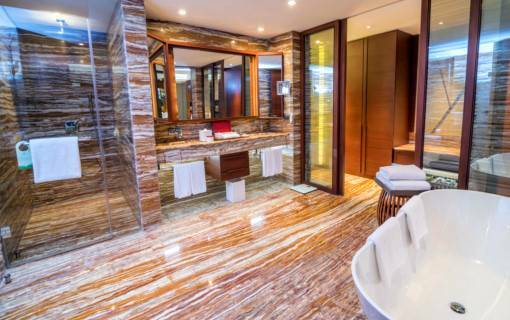 The rooms have large custom-fitted bathrooms with high-pressure rain showers and marble bathtubs. 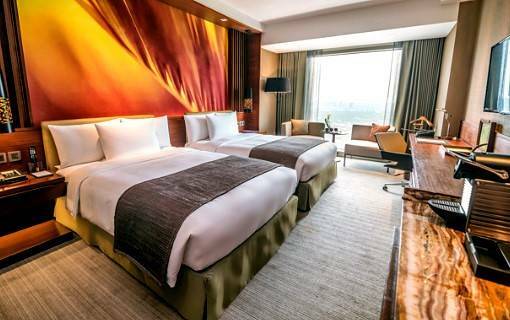 The Superior Rooms at Marco Polo Ortigas Manila are spacious and can accommodate two adults and two children (under 12 years old). 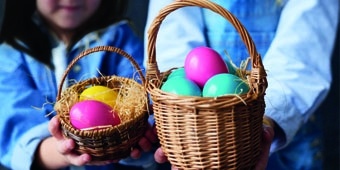 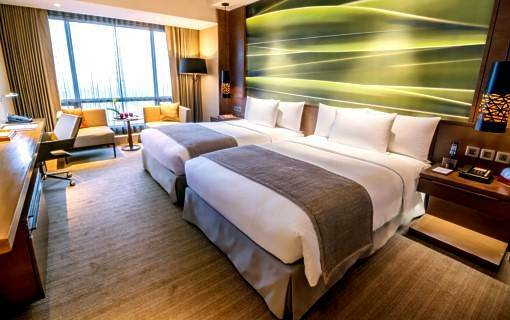 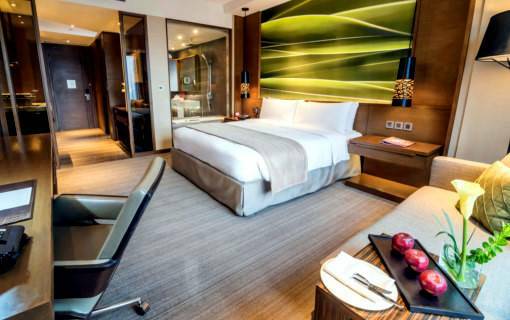 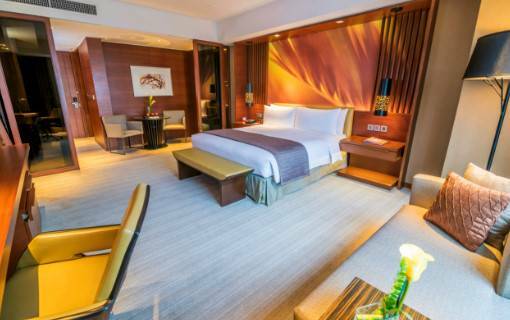 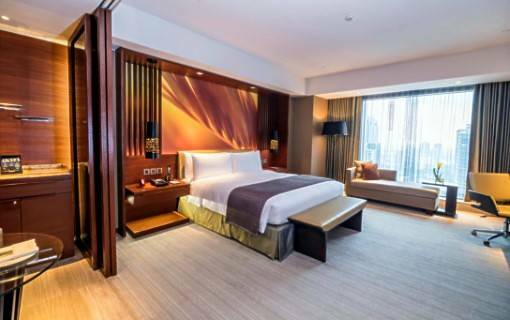 Marco Polo Ortigas Manila offers well-equipped Deluxe hotel rooms. 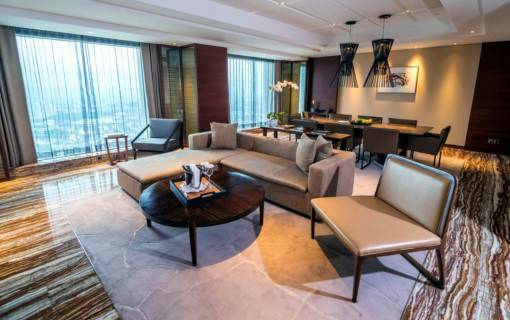 Spacious enough to accommodate two adults and two children (under 12 years old). 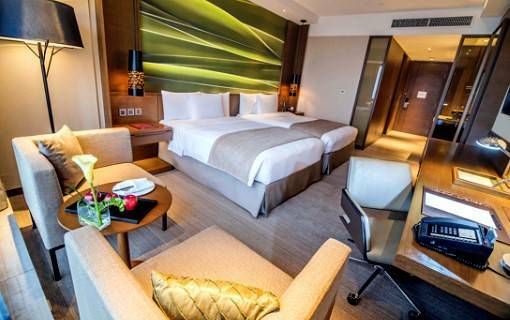 All 48 well-appointed Premier Rooms are corner rooms with spacious layout and are done in elegant earth tone finish. 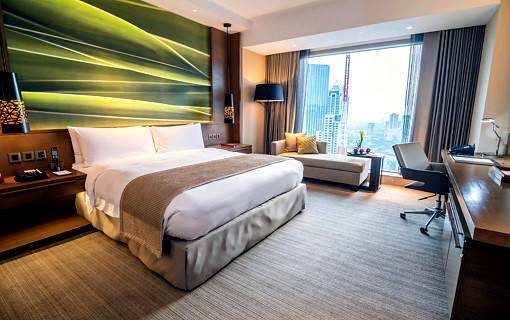 The Premier Rooms of Marco Polo Ortigas Manila provide a host of amenities that affirms its promise of class and comfort. 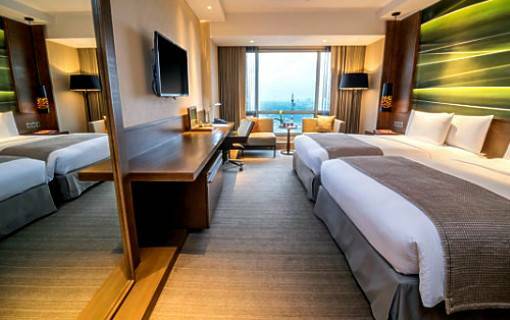 Located on the higher floors of the hotel, the Superior and Executive Suites of Marco Polo Ortigas Manila offer a panoramic view of the Ortigas cityscape with Continental Club benefits along with other luxury amenities. 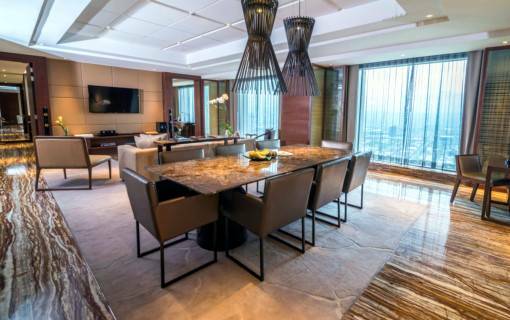 Located on the higher floors of the hotel, Superior Suites of Marco Polo Ortigas Manila offer a panoramic view of the Ortigas cityscape with Continental Club benefits along with other luxury amenities. 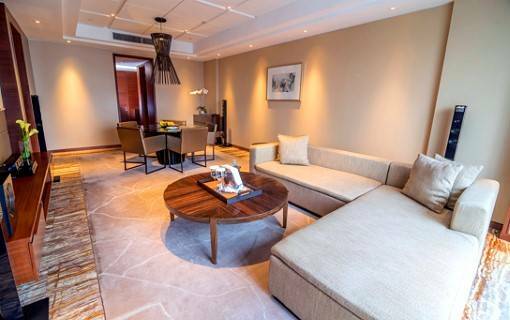 All suites are equipped with high-end and state-of-the-art amenities. 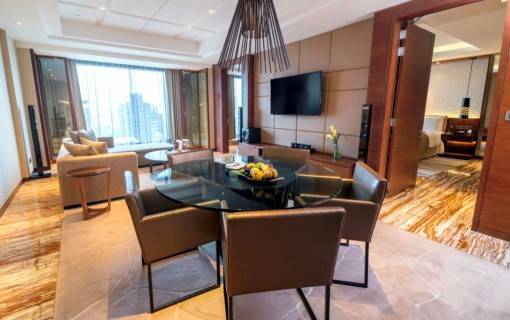 Located on the higher floors of the hotel, Deluxe Suites of Marco Polo Ortigas Manila offer a panoramic view of the Ortigas cityscape with Continental Club benefits along with other luxury amenities. 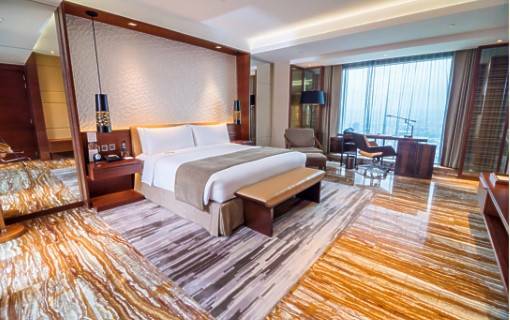 All suites are equipped with high-end and state-of-the-art amenities such as mirror bathroom LED television. 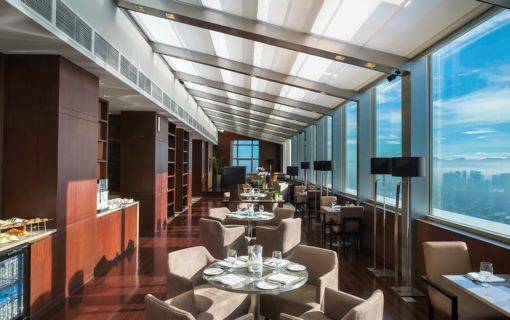 Perched on the top 2 floors of the newest hotel in Manila, the Continental Club floors projects the highest luxury skyline living. 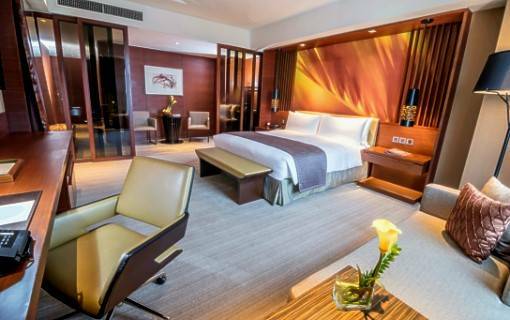 From personal services to the extensive offering of amenities and benefits. 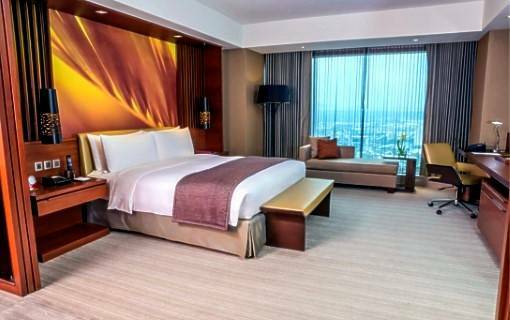 There are 23 Continental Superior Rooms in Marco Polo Ortigas Manila that are situated on two levels at the topmost floors of the hotel tower. 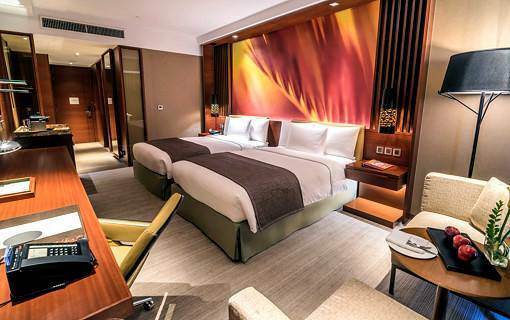 These spacious rooms are approximately 38-55 sqm and provide premium amenities and Continental Club privileges. 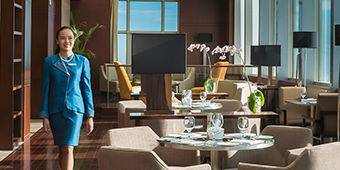 Guests staying on these floors also have exclusive access to the posh new Continental Club lounge. 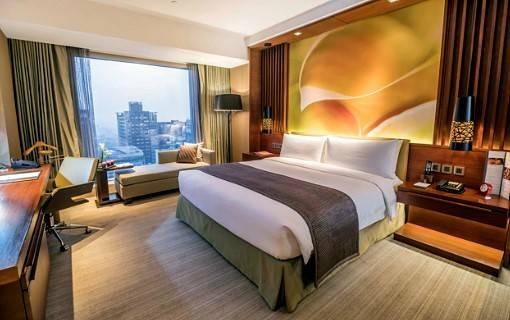 The 4 Continental Deluxe Rooms in Marco Polo Ortigas Manila showcase a state-of-the-art contemporary design. 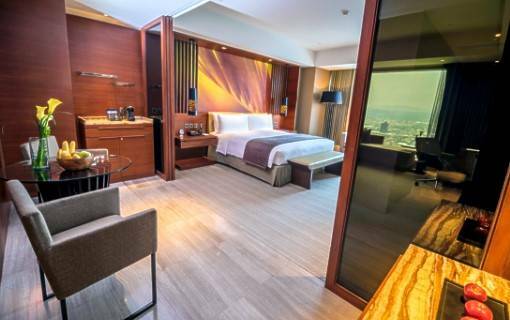 These rooms are 51 sqm and boast an amazing view of the Ortigas city scene. 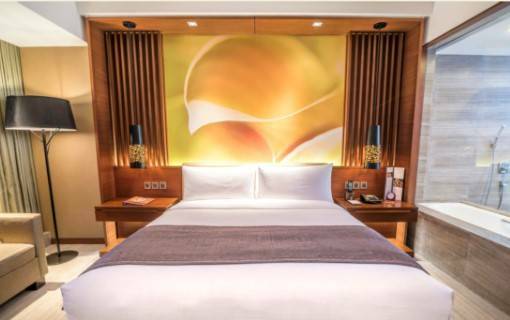 A comfortable king-sized bed awaits the guest who may also enjoy complimentary high-speed Wi-Fi internet and access to the relaxing Continental Club lounge. 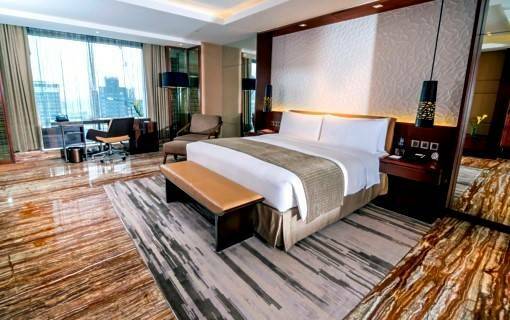 The Marco Polo Suite of the Marco Polo Ortigas Manila exemplifies luxury at its finest with its cutting-edge home theatre systems including three sleek LED television screens in the living room, bedroom and bathroom. 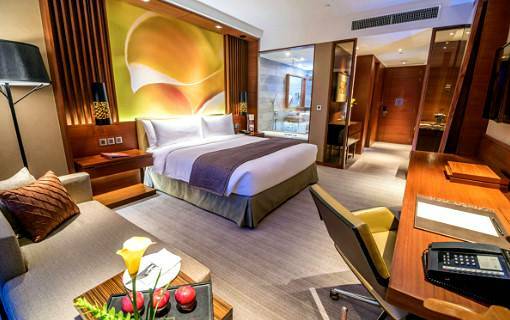 All these are capped off with Continental Club benefits and exclusive privileges for those seeking a higher level of privacy and exclusivity.